Of particular note are multiple iterations of the iPad featuring different types of kickstands, what appears to be a 16:9 model with wide handles on either side, and an eight-sided iPhone with diagonal corners. 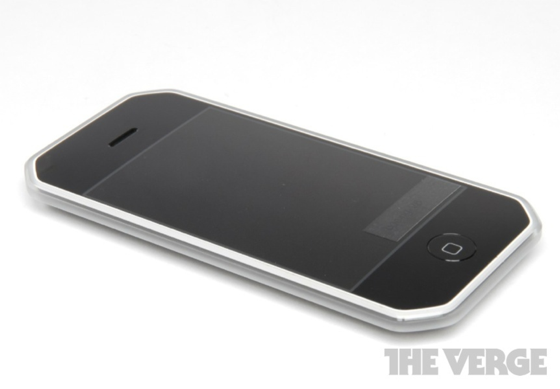 Also of interest is a slim, sleek iPhone prototype labeled the N90. The N90 was widely believed to be the codename for the iPhone 4, and while this narrow device definitely bear some aesthetic similarities to Apple's glass-and-metal design, this variant appears to feature a much smaller screen. One Sony-inspired design from 2006, which bears a "JONY" logo in honor of Apple chief designer Jonathan Ive, looks strikingly similar to the iPhone 4 that debuted years later. The Verge has a number of other images scattered across two different posts. They're worth a look. I can imagine Jony Ive's voice as he introduces that prototype: "Until now, people have—albeit inadvertently—associated octagons with authority and restriction. But what we've done is almost mentally rebrand the octagon as something that is really wonderful and liberating. And the end result is practically cathartic." The design was made by Apple, not Sony, they just decided to put a Sony logo on the concept image to imagine what a nice looking Sony phone would look like. It was just Jony Ive having a little fun, those were not meant to be publicly shown originally. Copies Sony? Did you even read the article. It was Apple designer who made that, because they wanted to see what Sony phone might look like back in 2006. It was all part of research. It was inspired by Sony's design ethics, but that's not Sony's product. Read! Thank god we never got a "menu" button. Glad those designs didn't make the cut! Ah yes, the Battlestar Galactica version of the iPhone. The one on the right reminds me of the recent Nokia Lumia's! 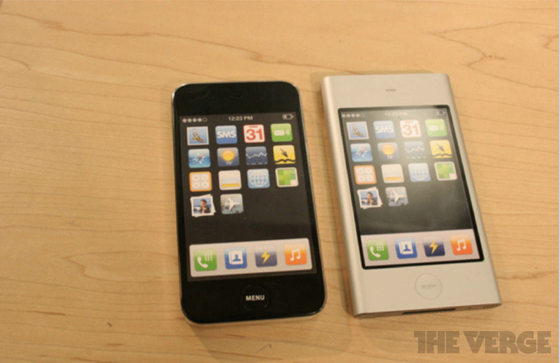 So this is Apple designed, but has Sony on it, and looks almost entirely like an iPhone 4. If Apple "drew inspiration" from Sony for this, so when people say Sony copied the iPhone 4's design with the Vita, Sony can say that they basically just "drew inspiration" from Sony's own devices.